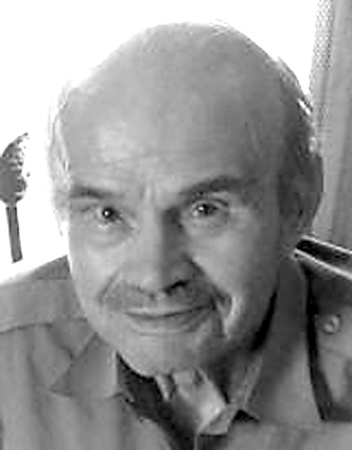 Stanislaw Podkowiak, 87, of New Britain, died in the comfort of his home and surrounded by family on Tuesday, Feb. 5, 2019. Stanislaw was employed as a machine operator in various factories and worked up until the age of 70. His strong will and determination to provide for his family were evident in everything he did. A loving husband, father, grandfather, and brother, he is survived by his wife, Barbara (Gromatka) Podkowiak; his children, Jerzy Podkowiak and wife, Emilia, and Ewa Komajda and husband, Roman; his grandchildren, Christopher, Thomas, and Marta, and his sister, Zofia Wrzesien. Stanislaw was predeceased by his parents, his siblings, Wladyslaw, Janek, Jozefa, Wladyslawa, Wanda, and Teresa, and his granddaughter, Joasia. Relatives and friends are invited to call on Tuesday, Feb. 12, from 8:30 - 9:30 a.m. at the Duksa Family Funeral Homes at Burritt Hill, 332 Burritt St., New Britain, followed by a Mass of Christian Burial at Sacred Heart Church at 10 a.m. He will be laid to rest in Sacred Heart Cemetery. To share a message of sympathy with his family, visit www.duksa.net . Posted in New Britain Herald, on Friday, 8 February 2019 18:23. Updated: Friday, 8 February 2019 18:26.